Earlier this week, David Goldenberg of the FiveThirtyEight blog published a piece about trying to identify the most challenged book in America. 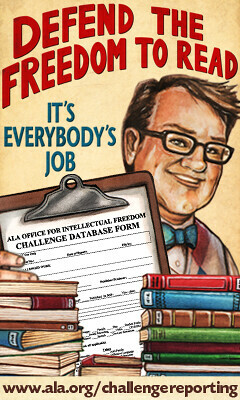 After being denied access to the raw data kept by the ALA’s Office of Intellectual Freedom (OIF), the story turned towards the integrity of the data, the methodology of collection, and even what it means to challenge a book (such as the conflation of age appropriate challenges with “no one should ever read this ever” types of challenges). I can’t deny the earnestness of such inquiries; I can see how an outsider might perceive the OIF’s response as off-putting. But it really only scrapes the surface of a problem of the librarian profession’s own digging. It’s not simply one problem here, but a pile giant swirling hodge-podge of issues that are intertwined and complex through negligence or indifference. There is no simple answer to David’s inquiry because of the layers upon layers of complications that have grown over the years. And the fault for this mess rests at the feet of the librarian profession. Let’s start at the beginning and work our way to the data. At this level, it starts with the librarian who receives a material challenge. (Let’s set aside for the moment whether it is about changing its grade level or removing it from the county.) 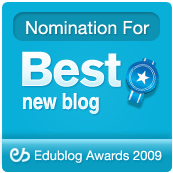 In their graduate school education or on-the-job training, librarians are not instilled with a professional obligation to report challenges to anyone, be it OIF or their state organization or any other professional organization. There is no duty to report, no raise a hand or a flag or simply say out loud that there has been a material challenge. None whatsoever. While there is much talk given to the ethics of challenges, providing broad collections, or protecting the freedom to read and/or intellectual freedom, the actual practice can be quite lacking. Librarians can and have relocated challenged materials to staff areas, hidden them away in their personal office space, or even quietly remove challenged materials without a second thought. Materials disappear from the shelves like dissidents snatched off the streets, never to be heard from again. These aren’t the awful stereotypical shushing librarians of the 1950’s, prim and proper and easily offended. These are the librarians of today. It happens in 2015. Even once more, it may not occur to someone that it should be reported to the OIF or anyone. A librarian may not know about the resources available to them (it’s true) or it may not be a priority in their life to report the challenge. Back in 2011, Sarah Houghton and I did an internet survey for material challenges. The results closely aligned with OIF’s long time claims that it is an underreported phenomena; the number of removals or challenges rarely matched the number of times the librarian reported it to OIF or their state association1. That’s only step one here. Let’s say that the librarian or library staff member goes ahead to report the challenge to OIF. Onwards to the next step. Here is the OIF online challenge form. Despite its length, it only has three required fields: Title of the work challenged, the State where the challenge occurred, and Email Address of the person reporting the challenge. That’s it. In their desire to hear about a challenge, OIF leaves a lot of data on the table. It’s a gamble on their part, one that should be reconsidered in the future. Little information can be worse than no information because little information creates speculation with the shakiest of support. If And Tango Makes Three was challenged fifty times and the only data given is the title, state, and email, then is it because people hate gay books, wanted it moved within an acceptable age range, or there is some bozo out there who hates penguins? From that limited data, any of those conclusions are valid. Even then, there is some dissonance behind the rationale about how the raw data is obtained. If the database is confidential and intended only for staff use, then why not make more fields required to get a better information about the challenge? One could say that it creates a risk as the database could be subject to court orders, but to my thinking the larger benefits outweigh the small unknown risks. Step three is how this data is collected and used. There is also a matter of staffing and budget in regards to OIF as ALA has experienced budget crises over the last couple of years. There simply isn’t the manpower or the finances available to chase down all challenges to determine their particulars or outcome. It’s why projects like the Missouri FOIA group are important to supplement their data. But, as an ALA office, it’s ultimately the responsibility of the membership to prioritize its mission and provide it the support that it needs. But ALA internal politics are an entirely different manner. With all of this in mind, it’s hard not to see how the database is not social science statistically valid. But it doesn’t pretend to be either as expressed in their statement. There are so many failure points along the way from the moment a challenge is mounted to the collection of challenge information that there is no way that the data would match the reality. Like many other societal issues, it is simply underreported phenomena. It’s the best that can be done with the tools available, the funds allocated, and the profession is willing to support and utilize. You can deconstruct that sentence any which way you want for it tells the underlying story about how many different ways reporting challenges is royally screwed. I do agree with the sentiment expressed by Jessamyn in regards to how challenges are handled; the lumping of “I think this should be in Grade 5 rather than Grade 3” with “This book is the work of Satan and needs to be destroyed” is an awful simplification in an age where we have the tools to make the distinction. They really aren’t the same and this is a problem that needs to be addressed more aggressively. I’ve written about Banned Books Weeks many times and it’s starting to feel like other librarian tropes. We can’t change it because (ahem) it’s tradition and it is the way we’ve always done it. Just gather the usual suspects, make a display, wrap it in POLICE LINE DO NOT CROSS tape, and take it down in a week. There feels like very little effort to educate the public other than “someone didn’t like this book because a character uses bad language in it”. And, honestly, if you think that peddling James Joyce’s Ulysses is going to move the needle on public perception of the importance of the freedom to read, you need to go lie down right now. By my own admission, this whole OIF/538 mess really pissed me off last night. It’s such a giant quagmire with plenty of blame to go around. I blame the profession for not instilling a duty to report material challenges. I blame OIF for how they continue to go about acquiring and presenting the data that they collect. I blame ALA for lacking the funding priority to make the OIF have greater reach and depth for intellectual freedom issues. I blame librarians in general for putting up with any of these things as an acceptable status quo for an ideal that rests within our core principles. But I’m sure you wish you did when a material challenge lands on your desk. This entry was posted in library science and tagged 538, banned books, censorship. Bookmark the permalink. Clearly I am way behind in my reading, as I just saw this today. It’s a great post but I think you give ALA OIF too much of a pass in the discussion about how they use the data. I believe ALA is wrong to continue to highlight this list in press releases and op eds (often without the disclaimer found on its web page). This list is frequently a part of ALA press releases. It is referenced in Banned Books PR and the State of America’s Libraries PR and fails to include the disclaimer in either release. If ALA wants to tout the validity of this list in the national press it cannot respond as it did when questioned about the data. I’m a huge fan of ALA OIF but I think they need to re-think how they do this list and how they use it.